A calming magical voice, gently haunting words or velvety whispered phrases – doesn’t this sound like the cherry on top of a great musical masterpiece? 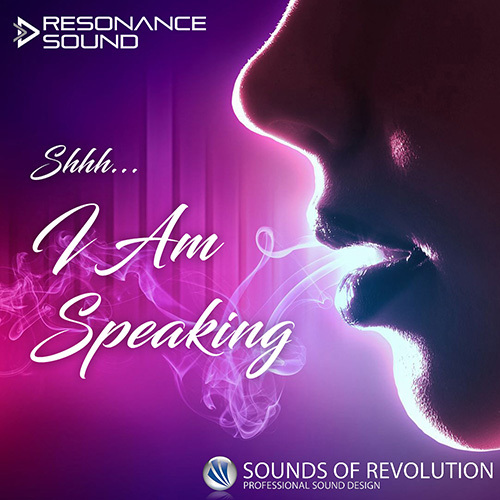 Search no more – Sounds of Revolution (SOR) succeeded in hunting for just these ingredients in his latest sample pack Shhh – I Am Speaking! Let a highly professional native UK speaker serve you 788 vocal samples: single words, phrases or even variable sentences / group phrases, in just as many flavours as needed to fit into your track. Find all vocals perfectly clean with a nice stereo image (100% mono compatible) and with no effects added, each word/phrase spoken in up to 4 different variations and leaving all creativity to the producer: why not create something completely new’n’fancy, such as lunatic dialogues, big crowds or whispering voices coming from everywhere? Also, if there’s nothing you like more than timestretching, pitching or effect-mangling vocals – be our guest! No matter whether we’re talking Chillout, EDM, Trance or something completely different – it’s never been easier to make the dancefloor shine, shiver, dance or cry. Come and see! Please note: ‘SOR Shhh – I Am Speaking’ is a vocals pack only. The demo contains sounds not included in this pack that are for demonstration purposes only.